The Bombshelter Pub held its last Bomber Wednesday on Jan. 9. 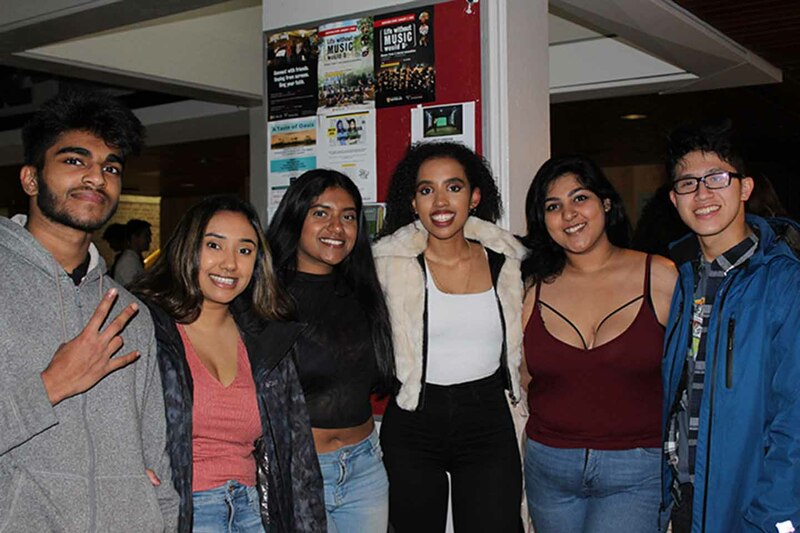 While the event started at 7:30 p.m., students began lining up outside the pub at 6:30 p.m.
“We have waited for an hour, we are willing to wait longer,” a student standing in the queue said. There was no cover charge and the doors were open to those over the age of 19. “The Bombshelter Pub deserves a farewell and I think it was a great idea to put this event together,” Kurt MacMillan, Feds VP of operations and finance said. When asked about his expectations from the event, MacMillan said he knew it was going to be a busy night. He also mentioned how the Last Bomber will not be any different from the others. “Everything will be just the way it used to be. This is our way of giving a send-off to the pub,” he said. The organisers hired photographers, and DJ Whiteout was called in to spin. Bouncers and security guarded the doors and regulated the entry of students. They were instrumental in managing the line outside the pub to avoid chaos. A group of students from the Campus Response Team (CRT) was placed outside the pub to handle the situation if it got out of control. “We expected this turnout and were prepared for it,” said a member of the CRT. The volume of the crowd was high and students eagerly waited to enter the pub. “We are excited but we’ll know how it is only when we get in,” Daniel Tchaikovski and Charles Manson, who celebrated their first Bomber Wednesday said. When asked why they had never attended before, they said the event was on Wednesdays and it was difficult to make it because they had classes on Thursdays. Like them, many students were attending Bomber Wednesday for the first and last time. They were willing to wait in the queue for as long as they had to. Tchaikovski and Manson were also eager to know about the venture that would be replacing the Bombshelter. “Student consultation will begin soon,” MacMillan said when asked about what happens next. The marketing team will release forms for students, asking what they would like to see in place of the pub. They will hire a professional consultant after getting responses from students and will then make a final decision. For those who missed the last Bomber Wednesday, there is good news. The Bombshelter Pub is hosting its annual NYE 2.0 on Jan. 16 and an Alumni Send-Off on Jan. 26.